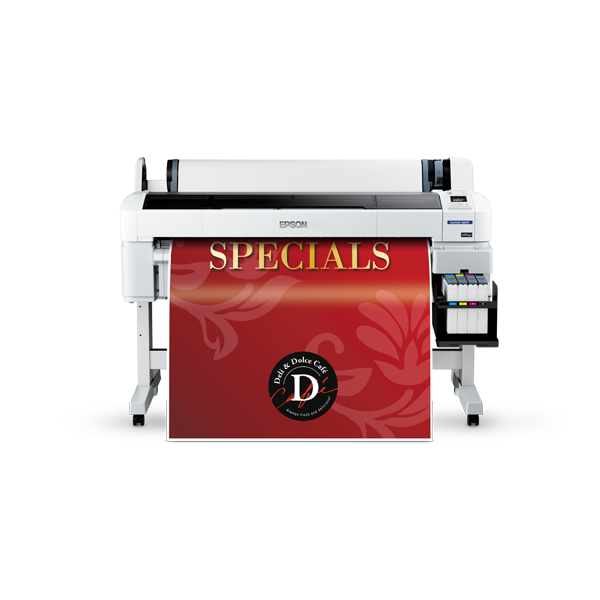 The SureColor SC-B6070 is the world’s first original ink tank large format printer that delivers fast, cost effective and high quality printing. 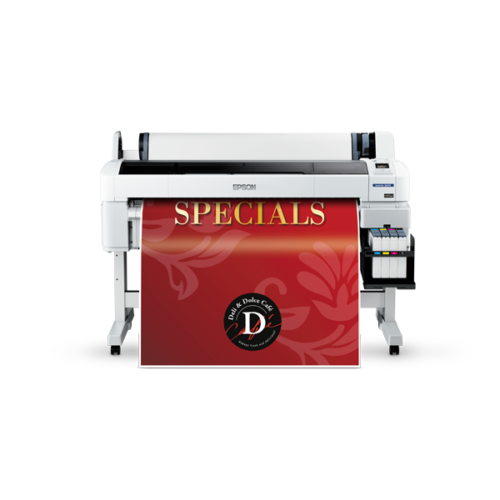 Commercial large format printing places great demands on speed and turn around time. The SureColor SC-B6070 is the first in the class to integrate large, 1.5L capacity ink tanks for increased productivity and efficiency, reducing the frequency of ink refills while at the same time enabling fast, high-volume printing. Refills, when needed, come in convenient and value-for-money 1L packs containing genuine Epson ink for the best quality. Created as highly reliable solution for continuous production and minimum down time, the printers come with a remaining ink level warning system to alert users to replenish the ink tanks while in operation before they are empty. Epson’s proven and robust Micro Piezo print heads provide the required durability for high volume production while filters in the ink tanks ensure that the ink supply is kept free of impurities that may cause clogging and stoppages. 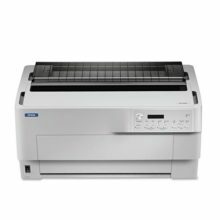 Rest assured with a genuine 1-year warranty from Epson that includes parts and print heads, in addition to the support of professional Epson servicing to keep your printer operating at its peak. Push your printing productivity to the maximum with an unrivalled throughput of 30.6m²/h for the SC-B6070. Epson’s Micro Piezo Thin Film Piezo (TFP) print heads achieve extreme precision in ink droplet placement while increasing the nozzle count from 360 to 720 per colour. A single print head utilises 8 nozzle lines, delivering 720 dpi resolution in a single pass, unlike conventional models that can only manage 360 dpi, allowing fast printing speeds even at the highest quality setting of 1440 x 1440 dpi resolution. The SureColor SC-B6070 is built with a sturdy, ergonomic design with smart features that make it a breeze to operate and maintain in busy work environments. The ultra high capacity 1L ink packs eliminate the need for frequent ink cartridge replacements. The ink tank system is fully integrated into the printer design and is easy to refill. 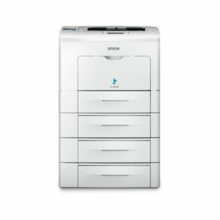 The new 2.5″” colour LCD screen control panel lets users use shortcut keys to check and use printer settings intuitively. The large LED alert lamp notifies users of any printing errors. The paper feed button allows users to adjust the paper feed without stopping any print jobs, ensuring minimal print wastage. Status alerts for instances such as ‘End of Print Job’, ‘Error’ or ‘Ink Running Out’ can be sent to users via e-mail notification, receivable through networked PCs or modern smartphones.